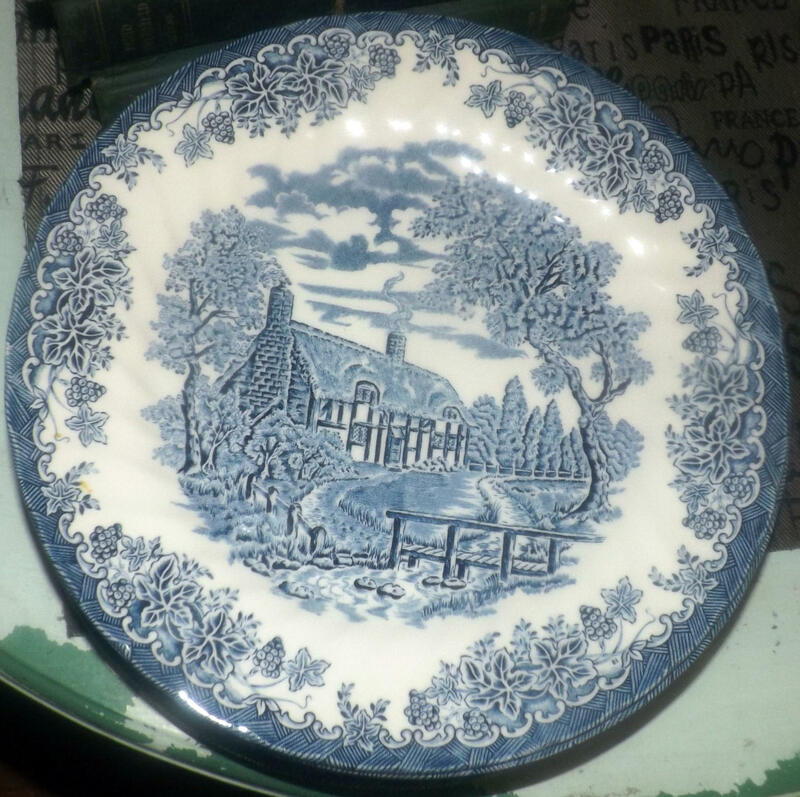 Vintage (early 1990s) Churchill China England The Brook Blue large dinner plate. 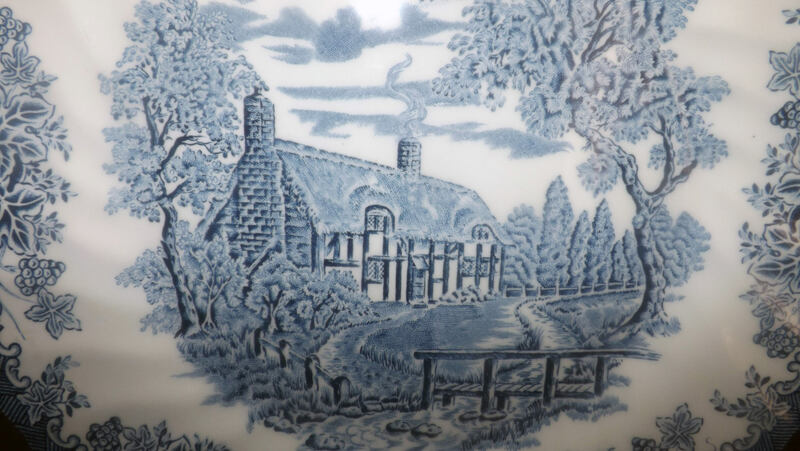 Blue-and-white Tudor cottage | landscape scene. 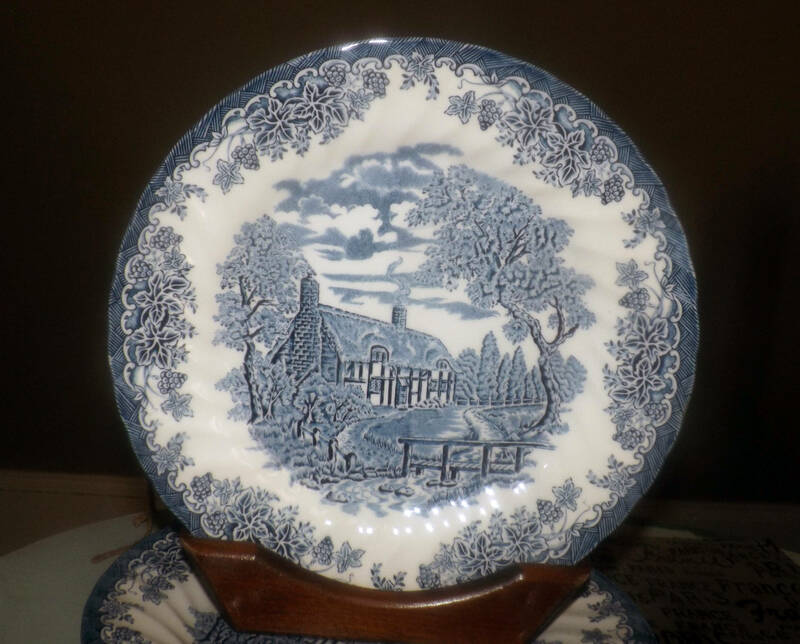 Vintage (early 1990s) Churchill China England The Brook Blue large dinner plate. Blue-and-white landscape scene with a Tudor cottage. In EXCELLENT! condition with NO! chips, nicks, cracks, or fleabites and NO! crazing. 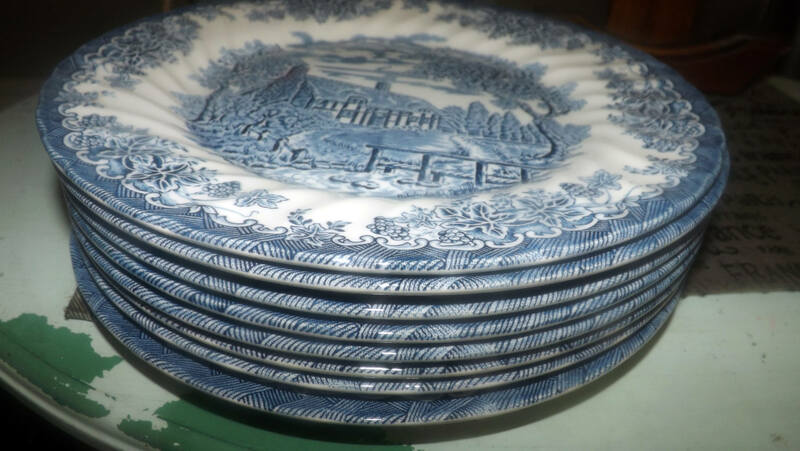 The blue-and-white landscape | English Country imagery is bright and vivid with LITTLE TO NO! fading apparent and to our eye, there are NO! 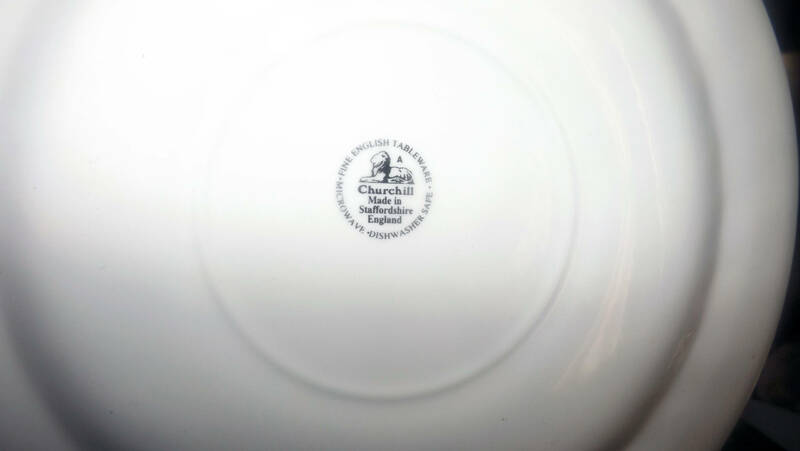 scratches to the surface of the plate (having said that, please DO! review EACH! 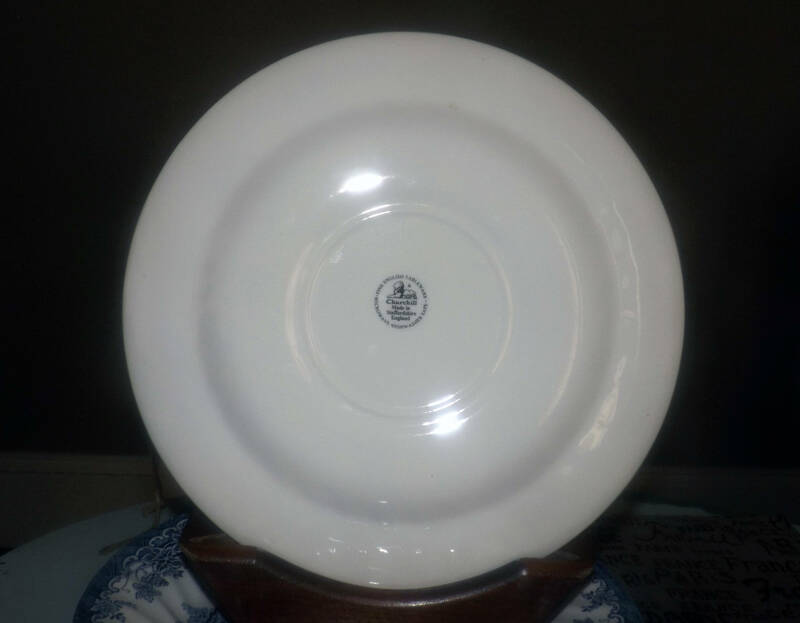 of the posted photos for a complete visual of the item). Approximate measurements: 11" in diameter (measured edge to edge) with a swirled verge and scalloped edge.